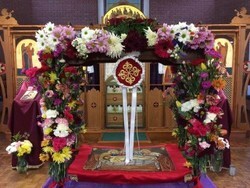 The Holy Liturgy of St. John Chrysostom is served every Sunday at 10:30 a.m. (reading of the Hours or Matins starts at 10 a.m.) at the St Martin's of Tours Church, Braddon Close, Westgate, Lancashire, LA4 4UZ, United Kingdom (find us). In addition, Great Vespers is usually served on Saturdays at 3 p.m. preceded by Memorials, Confessions and reading of the Synaxarion. On some Saturdays the Holy Liturgy is served at 10 a.m. Other Orthodox services for special Feasts (Akathists etc.) are held according to the Orthodox calendar. Please, contact us for more information on the exact time and date of the services, or look at the last page of this month's Stavronian. Read the current issue of our monthly newsletter, the Stavronian, here! You may also be interested to know that the Stavronian has become 10 years old. Fr. Jonathan has written and published "Fountains in the Desert" (in English and Romanian), which is based on the sayings of St Antony the Great. Please contact us for orders (priced £7.50 plus postage & packaging). 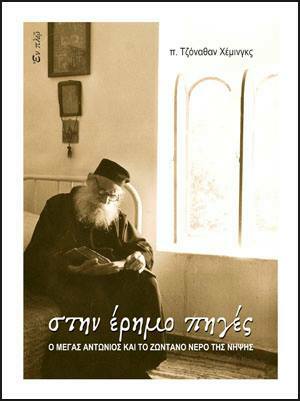 We are very pleased that Εν Πλω published Fr. Jonathan's "Fountains in the Desert" book in Greek. 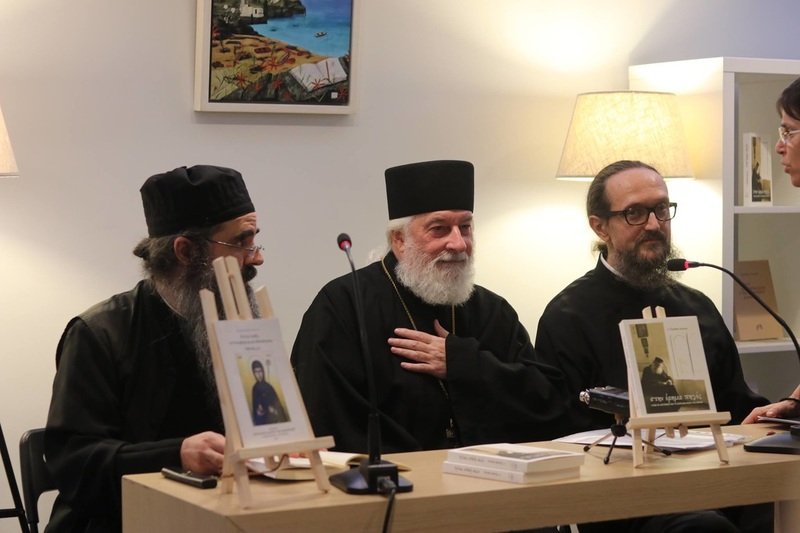 The book presentation was held in Athens, Greece in October 2016. We are thankful to Kleio Kehagia for the translation of the book from English to Greek. If you are in Greece please visit Εν Πλω's bookstores to buy the book or contact us for orders. All the proceedings from the book will help our Parish to cover the expenses of a permanent Church for worship. The Parish of Holy Cross embraces Metropolitan Silouan after the Holy Liturgy on Sunday of Forgiveness, Feb. 26, 2017. 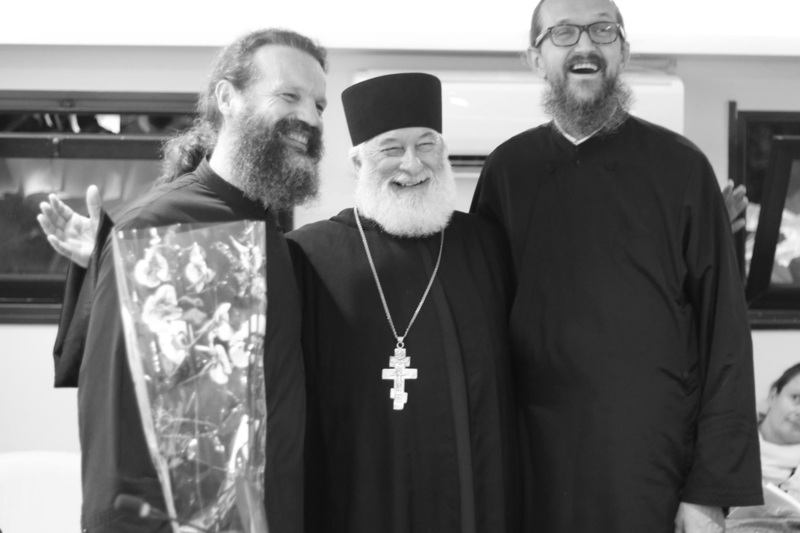 More photos of this joyous event uploaded by Fr Gregory on the Antiochian website here. Photos from the presentation of the book "Fountains in the Desert" in Greece.